The song George Ezra - Paradise is professional recreation. It is not by the original artist. Blame It On Me George Ezra Your browser does not support the audio tag. Don't Matter Now George Ezra Your browser does not support the audio tag. Hold My Girl George Ezra Your browser does not support the audio tag. 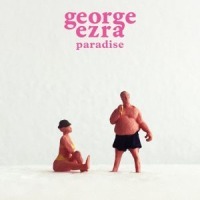 Paradise George Ezra Your browser does not support the audio tag. Pretty Shining People George Ezra Your browser does not support the audio tag. Shotgun George Ezra Your browser does not support the audio tag.